Another day, another city, another Mamarazzi. If you could switch places with one of your parents, what would you want to do? 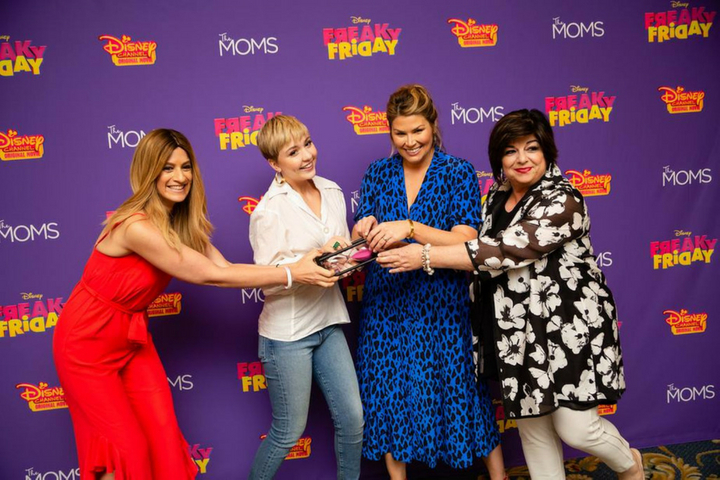 That was one of the best parts of today’s MAMARAZZI with Disney Channel’s FREAKY FRIDAY! What a treat to host Heidi Blickenstaff Cozi Zuehlsdorff and Executive Producer Susan Cartsonis. Heidi’s was to drive, Cozi’s was to eat dessert whenever, mine was to work (shocking, right!) Off to the premiere (I saw it already and LOVED it!) Watch with your kids starting Aug 10th!